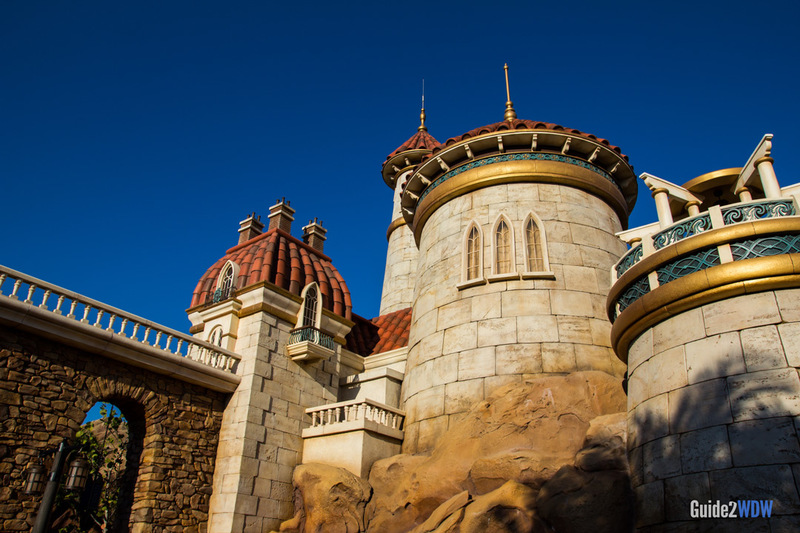 Become part of Ariel's world in Fantasyland's newest dark ride. Board a clamshell and take a journey under the sea to relive famous moments from the classic Disney animated film, The Little Mermaid. 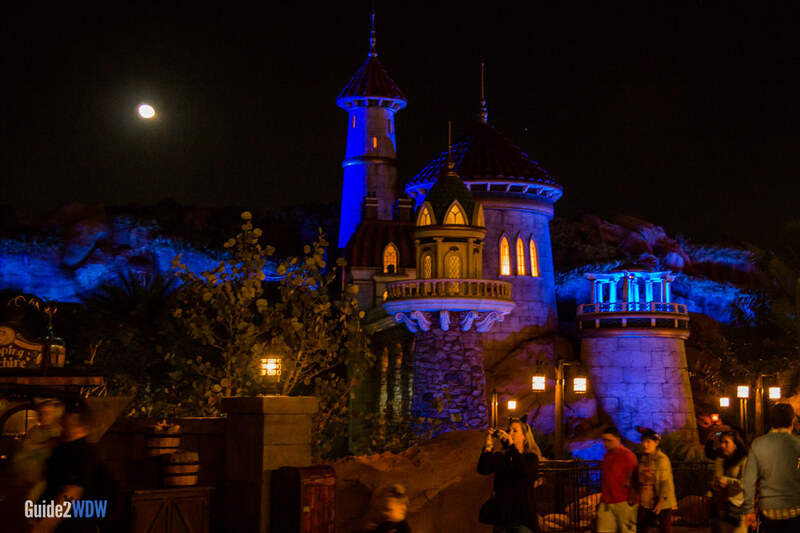 With a ride system similar to Haunted Mansion, Omnimovers gently roll from scene to scene in this dark ride that’s great for every member of the family. 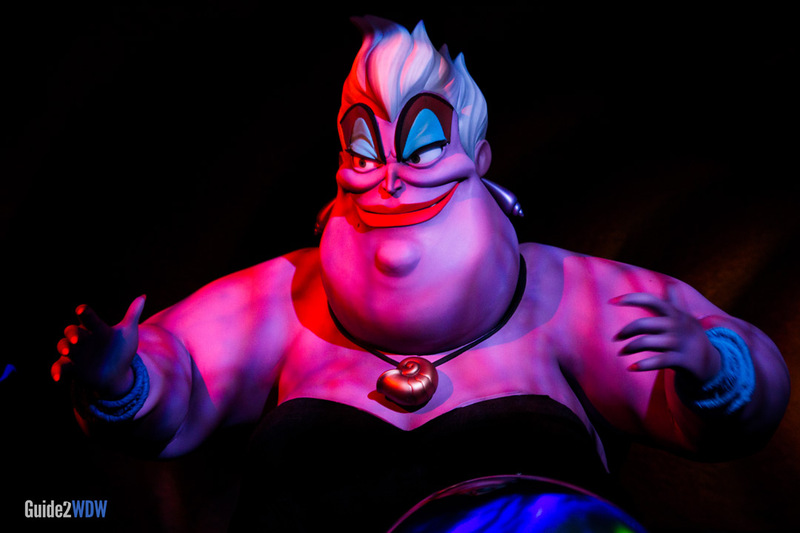 Classic scenes and songs such as “Under the Sea,” “Kiss the Girl,” and “Pour Unfortunate Soul” are colorfully recreated, and the Ursula animatronic is one of the most impressive sights at Walt Disney World. This great dark ride that follows the classic Fantasyland tradition of being entertaining while appropriate for all ages. 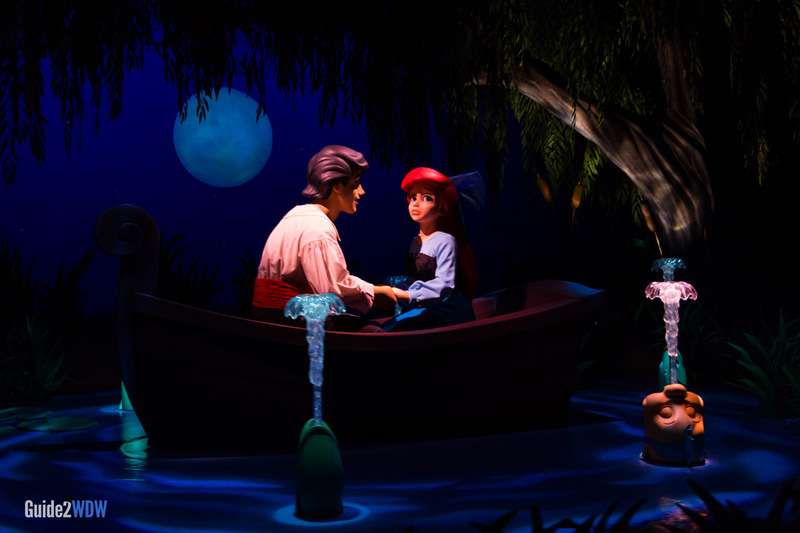 If you are a fan of The Little Mermaid, Journey of the Little Mermaid is not to be missed. While the ride itself is great, the queue at the Walt Disney World version of this ride is worth the visit alone. 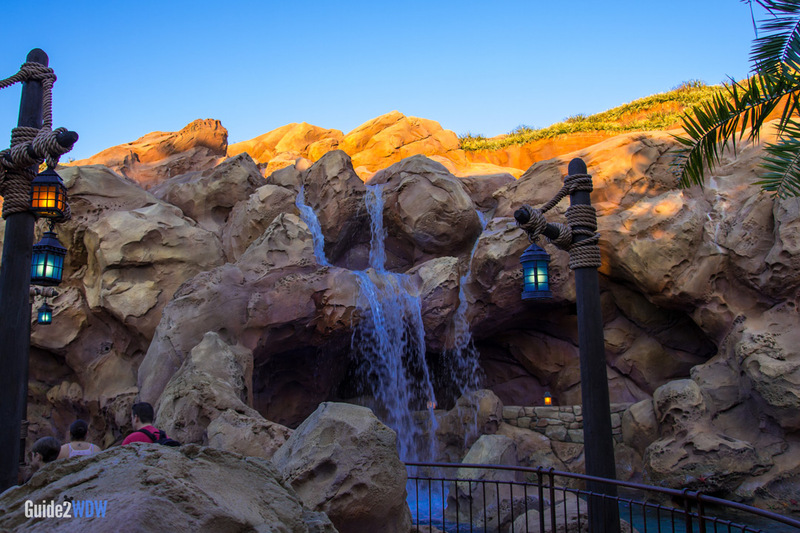 With stunning rockwork and waterfalls, the line immerses you into the world of the Little Mermaid. 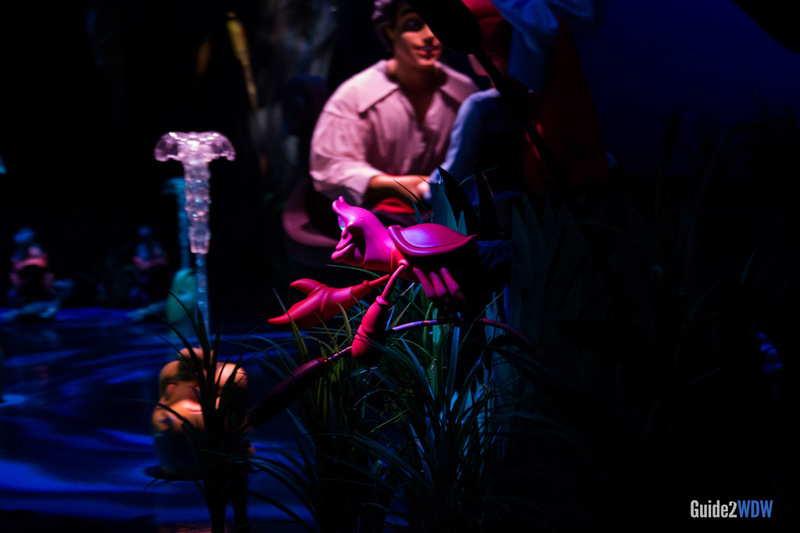 Once inside, guests can play an interactive game featuring crabs sorting out Ariel’s thingamabobs, whosits, and whatsits galore. Just point out the items that don’t belong and the crabs will take them away. 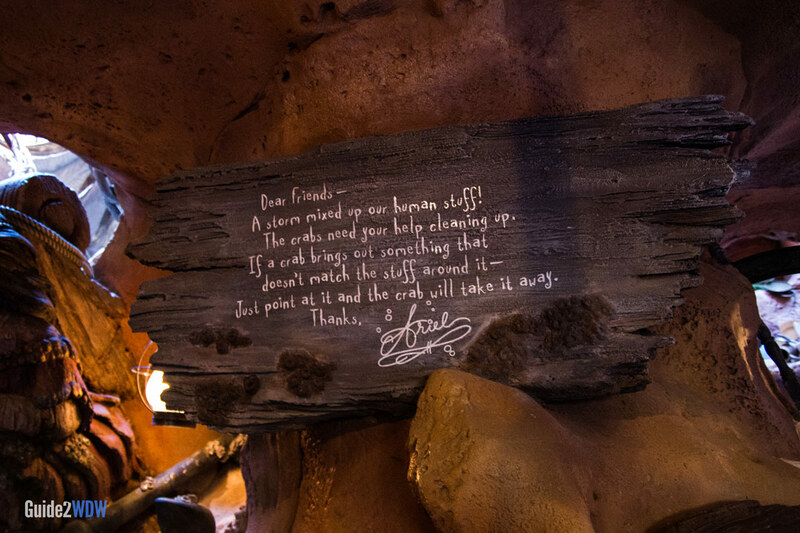 It’s a cute little diversion in a very immersive queue. 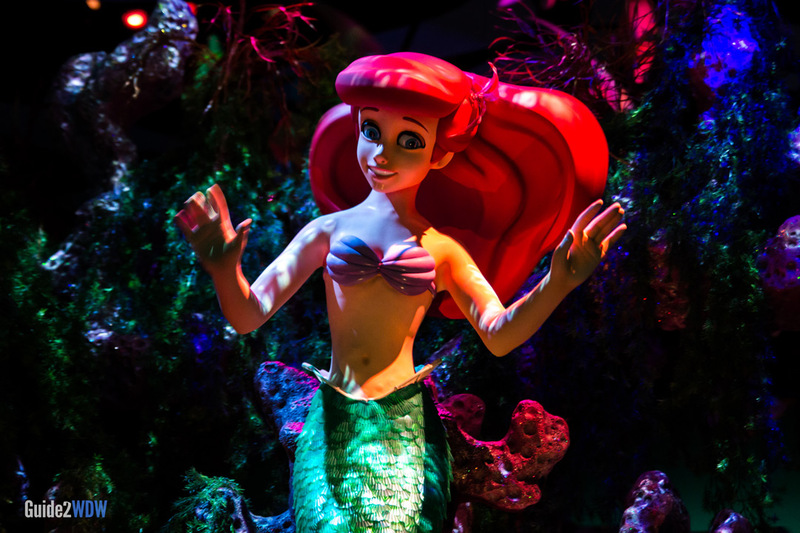 This ride first opened at Disney California Adventure in 2011 (titled The Little Mermaid – Ariel’s Undersea Adventure). While the rides are identical, the queue for Walt Disney World’s version is much more impressive. If you’re a Disneyland local visiting Walt Disney World, don’t skip this ride just because you’ve been on it before! This ride features Fastpass+. The Fastpass line does skip past some of the most scenic elements of the queue. 2 to 3 guests can fit in one clamshell vehicle.